This is the story of Lisa Tiguelo, born in the Philippines on the inauguration day of Ferdinand Marcos. 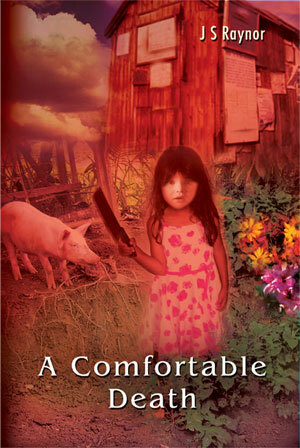 Lisa, the eighth child of a family struggling on the Philippine breadline, faces a momentous task to survive. As a young girl, she has to endure the cruelty of her ruthless father, Pedro. Her grandfather, Allan, adores the stunningly beautiful Lisa, providing safety and sanctuary on many occasions. Her enormous strength of character turns the innocent child into a person capable of great things. The true, familial love of her life, her grandfather, when dying, draws her close and makes one last request. Lisa knows she will undertake his wishes, but knows not how many twists and turns of fate it will take her to keep her promise. Born a devout Catholic, she has many conflicts between her faith and obligations to her grandfather. Fearless and brave, she is very soon an active part of the people’s fight against the tyrannical Marcos, fighting alongside her friends and family as part of the New People’s Army. Facing the possibility of torture and execution, Lisa and her family must move away from the troubles, before they become victims themselves. This is an inspirational story of human bravery against a tyrannical regime and a story of how honour within that family asks the extraordinary from one woman in particular. Inspired by the story of his own wife’s life, blind Cheshire author, John Raynor takes us on a whirlwind story of courage, hope and inspiration within a people and a time when all seemed lost. For those in the U.K. who wish to purchase directly from this site via PayPal (£5.99 + £1.50 first-class p&p), order ‘A Comfortable Death’ here. Also by J.S.Raynor: See All Evil | A Chronicle of Intimacies | The Gaudi Facade | Who wants to be British?